Here are some more shots from my trip to the C&OHS Convention in Staunton, Va., this year. 07-30-2015. 1. Herb Parsons and I took a break from the excellent COHS programs and walked the short distance from the Hotel Stonewall Jackson to the depot. 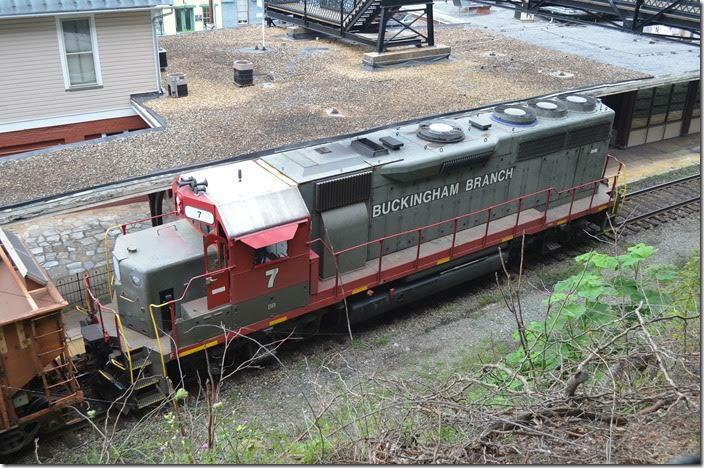 Buckingham Branch 7 came down the hill with ballast to spread in Staunton yard. 2. Buckingham Branch 7. Staunton. 3. 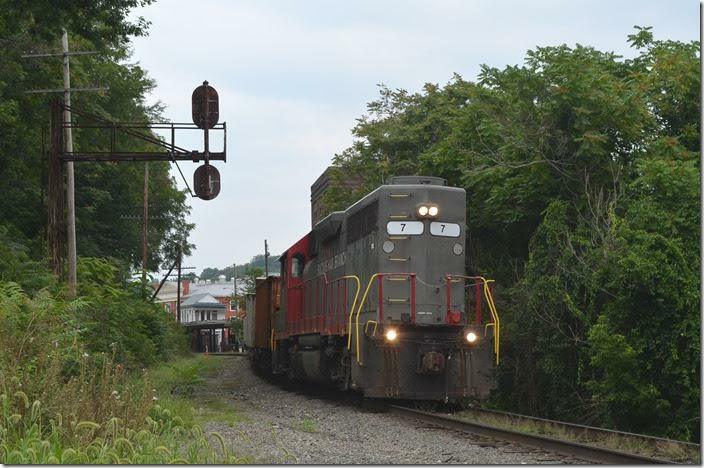 Buckingham Branch GP40 7 is ex-Ohio Central, nee-D&RGW. Staunton. View 2. 4. 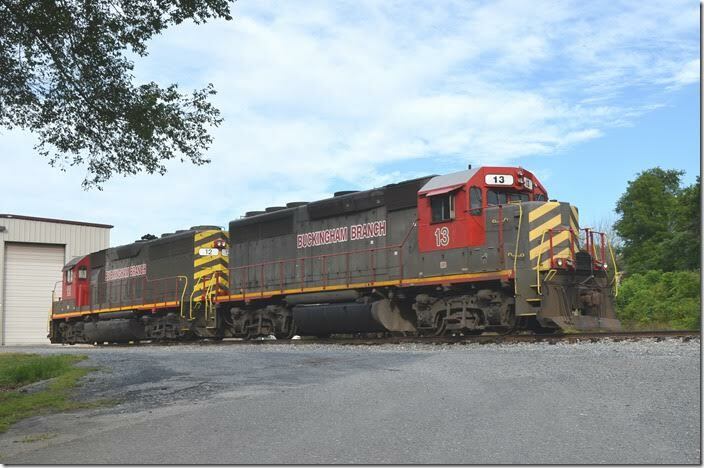 Buckingham Branch GP40 7. Staunton. View 3. 5. 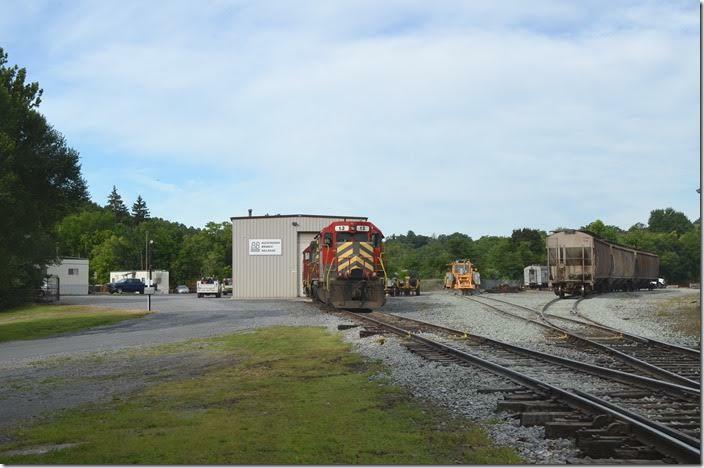 Buckingham Branch’s yard, dispatcher’s office and shop is in what is known as the “C&O Flats.” That’s the switch in the background. 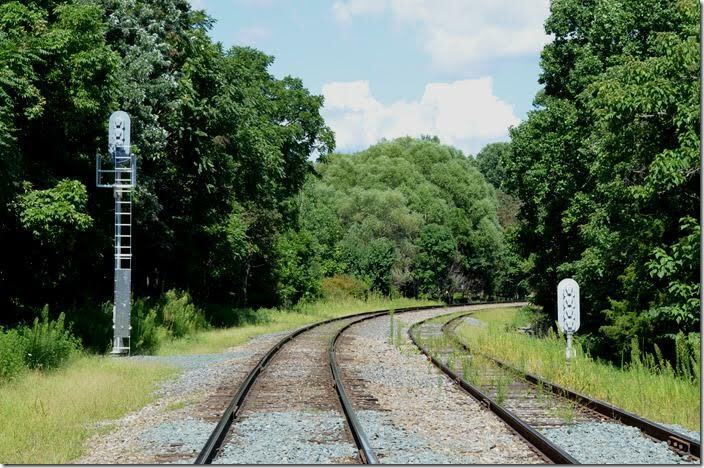 Buckingham Branch GP40 7. Staunton. 6. 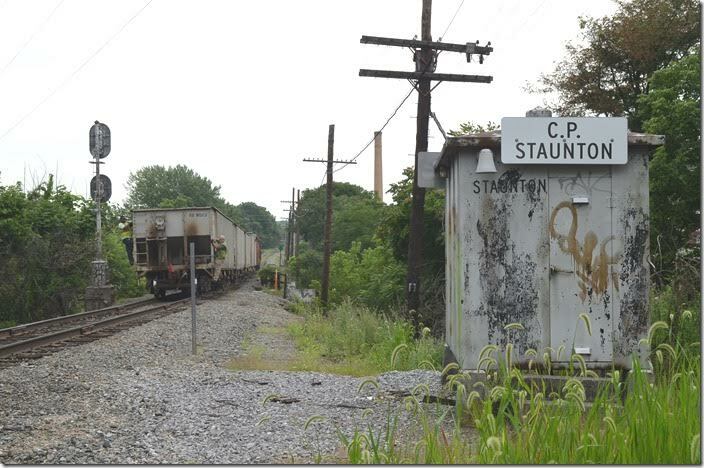 Eastbound signal at Staunton station. The cantilever is (or was) identical to the one at the east end of Afton. 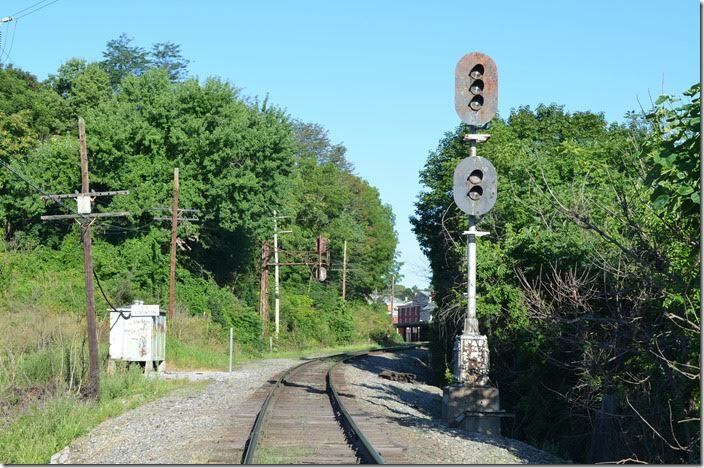 Buckingham Branch eb signal. Staunton. 7. Non-standard cantilever, but still in service. 07-31-2015. Buckingham Branch eb signal. Staunton. 8. 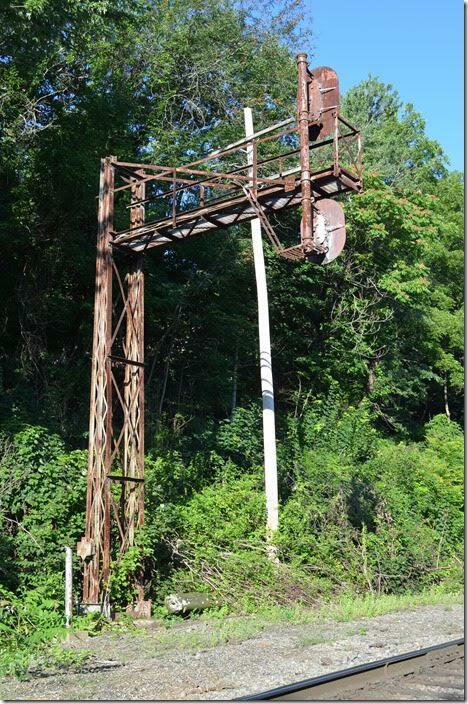 Back side of same signal on 07-31-2015. I wish I knew when these were erected. 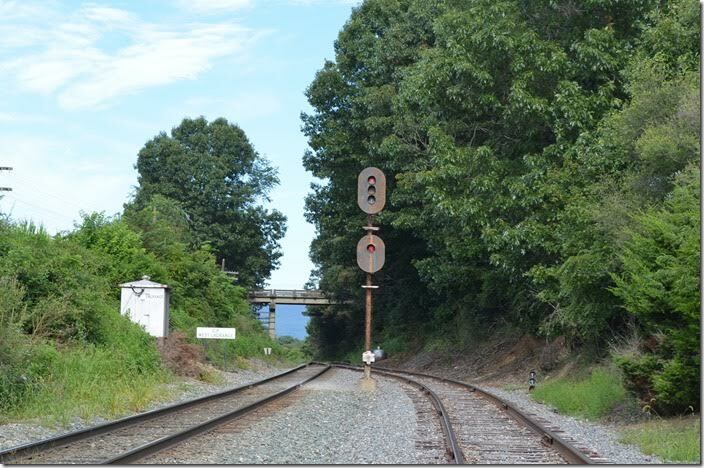 Buckingham Branch eb signal. Staunton. 9. Buckingham Branch eb signal. Staunton. View 2. 10. Unfortunately the westbound signal was never green!!! 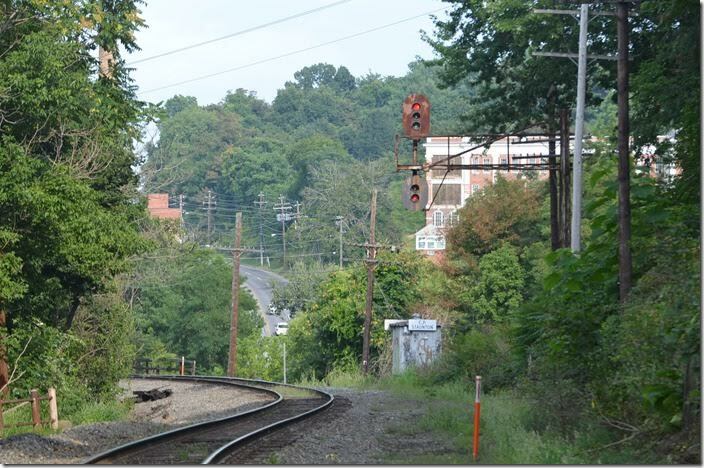 Buckingham Branch wb signal. Staunton. 11. On Saturday Herb and I drove over to Waynesboro. 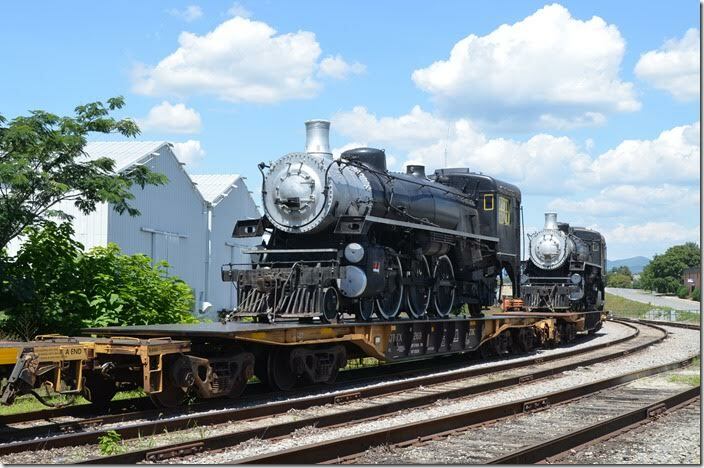 These former Virginia Central Pacifics were on the interchange track between Buckingham Branch and NS. Virginia Central 4-6-2 1238. Waynesboro. 12. Virginia Central 4-6-2 Waynesboro. View 2. 13. 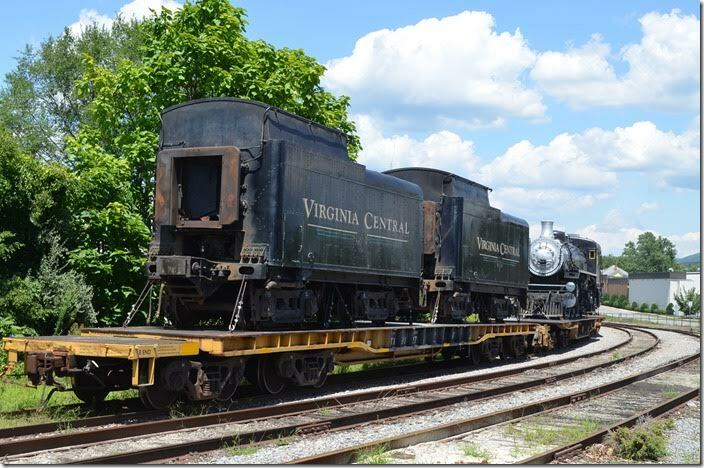 Virginia Central tenders Waynesboro. View 3. 14. 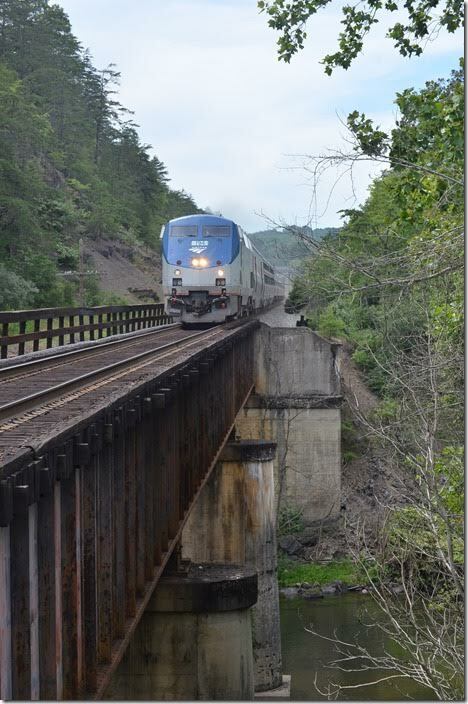 After shooting NS local V8Q in Waynesboro, Herb and I went up to the “new” Blue Ridge Tunnel. After parking beside US 250, this the view walking up the track toward the tunnel. 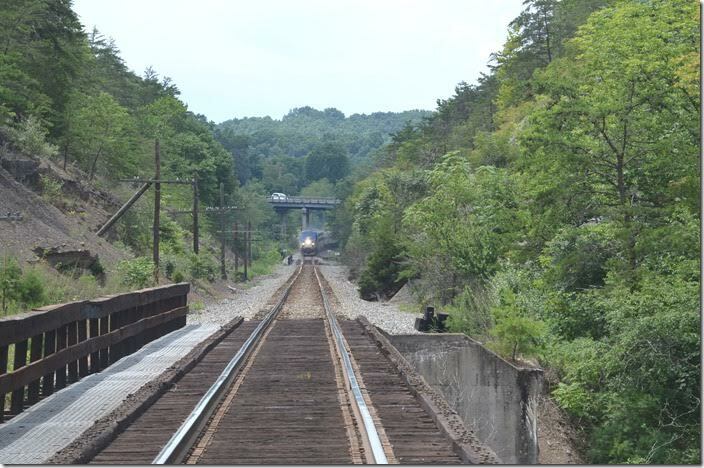 Buckingham Branch toward Blue Ridge Tunnel near Waynesboro. 15. 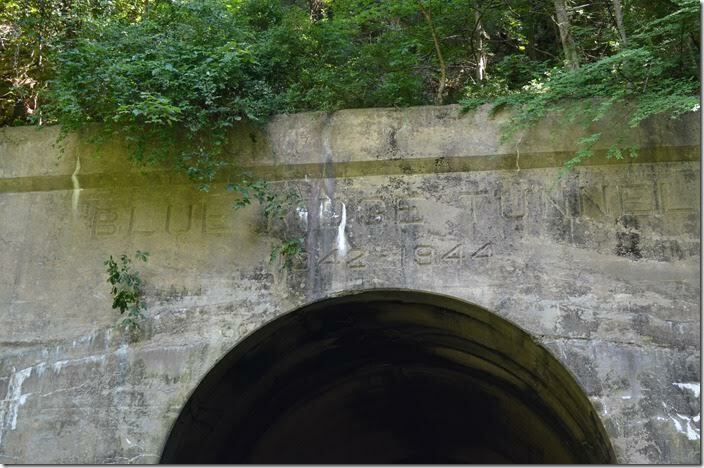 West portal of the “new” Blue Ridge Tunnel. 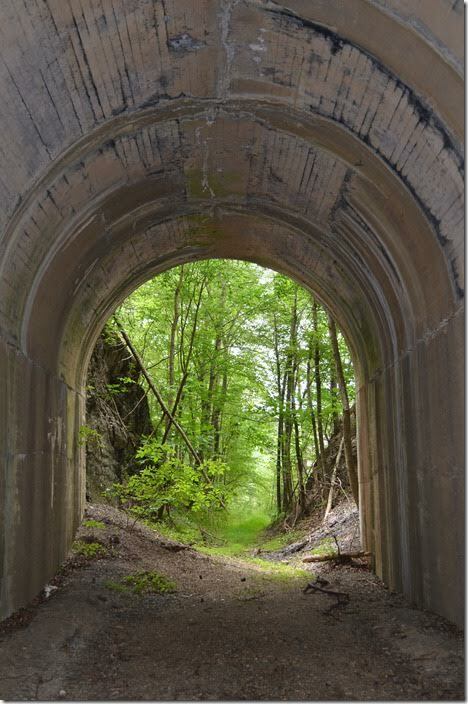 The old tunnel engineered by Claudius Crozet is being converted into a rail trail, and the east approach at Afton is “off limits” due to construction. 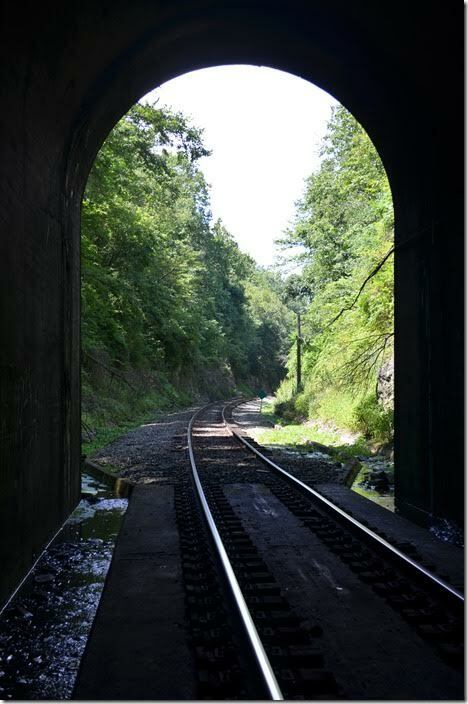 Buckingham Branch Blue Ridge Tunnel near Waynesboro. 16. 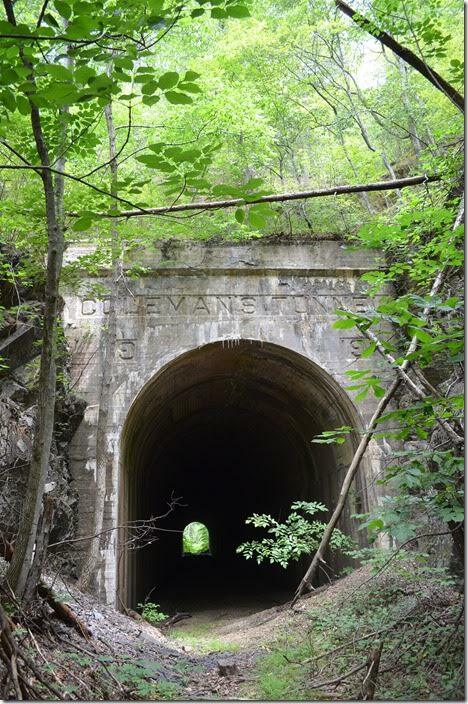 Buckingham Branch Blue Ridge Tunnel near Waynesboro. Built 1942-44. 17. Note the concrete pad and ties. 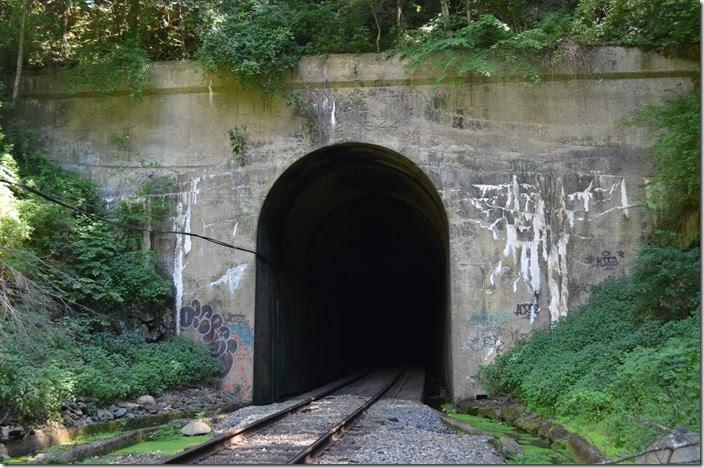 Buckingham Branch Blue Ridge Tunnel near Waynesboro. 18. Note the concrete pad and ties. Close up. 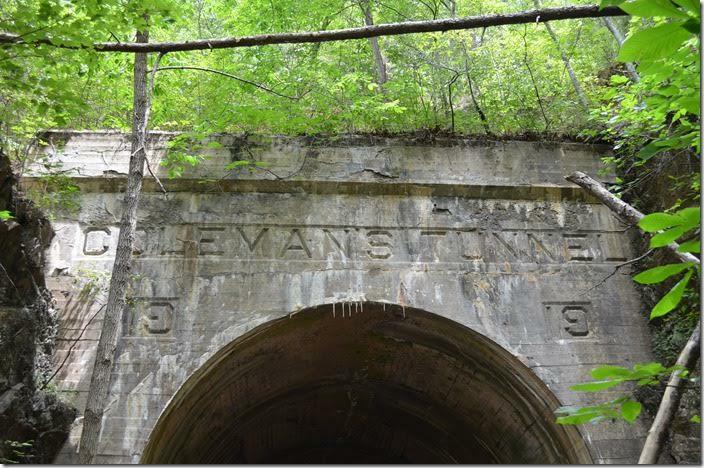 Buckingham Branch Blue Ridge Tunnel near Waynesboro. View 2. 19. 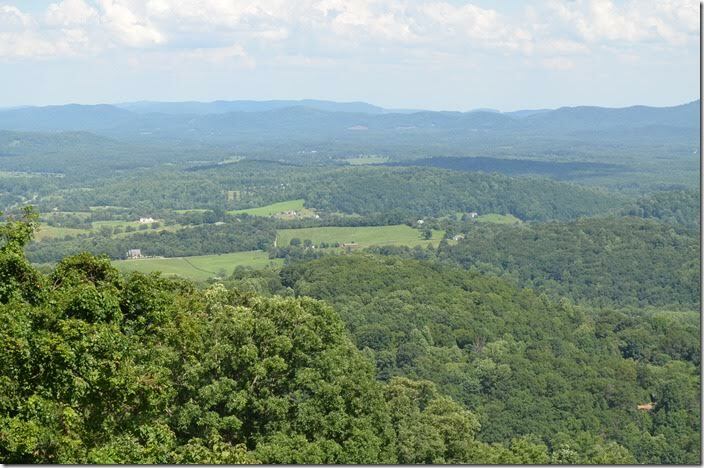 View looking east from Afton Gap. 20. 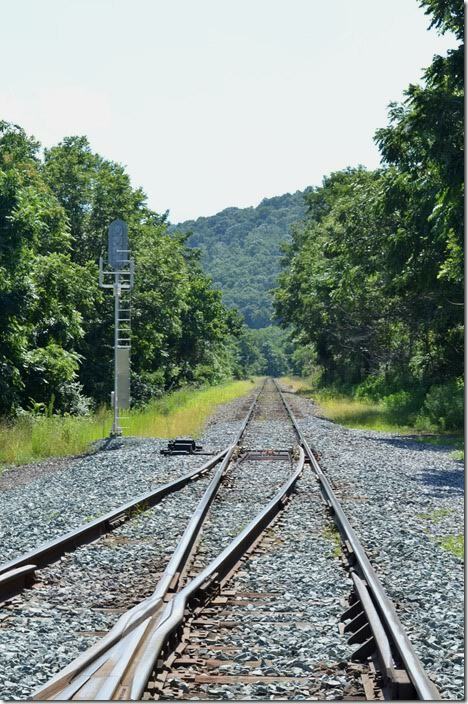 Looking east at the west end of Afton passing siding. 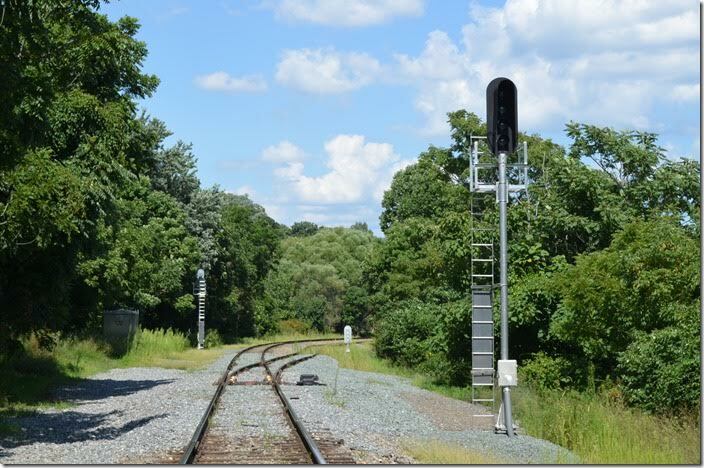 Buckingham Branch wb signals WE. Afton. 21. 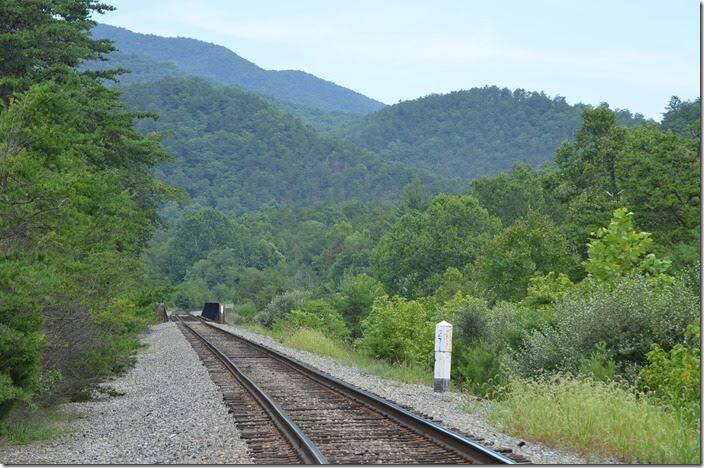 Looking west at Afton toward Blue Ridge Tunnel. Buckingham Branch eb signal WE. Afton. 22. 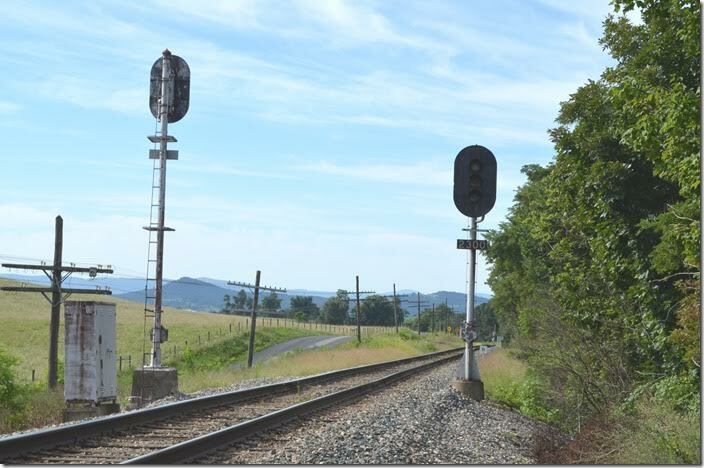 A four-light signal looking east at the west end of Afton siding. 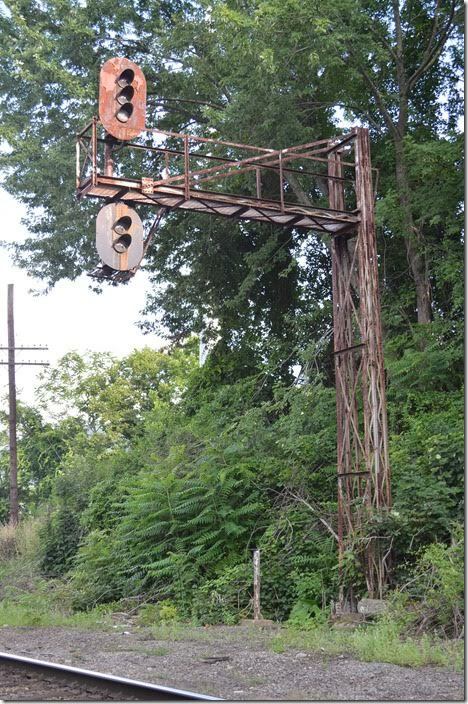 Buckingham Branch eb signal WE. Afton. 23. Durbin & Greenbrier Valley RS-11 367 (ex-Maine Central) on the property of the Shenandoah Valley RR at Staunton. 8701 is Whitcomb RS4TC that is ex-Defense Logistics Agency, exx-U. S. Army, nee-U. S. Air Force. 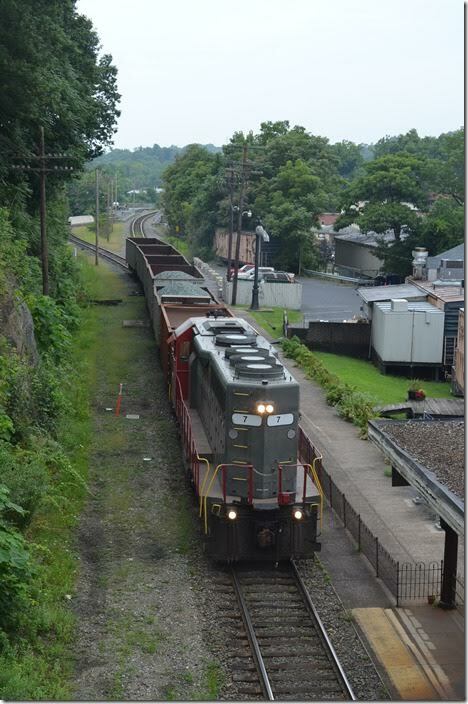 Shenandoah Valley is presently operated by the D&GV. 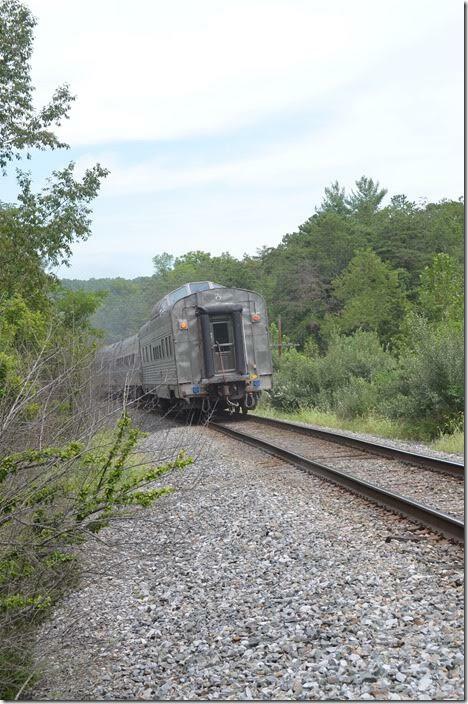 They have 20 miles for ex-Chesapeake Western, nee-B&O trackage running north toward Harrisonburg where they connect with NS. DGVR 367 SV 8701. Staunton. 24. 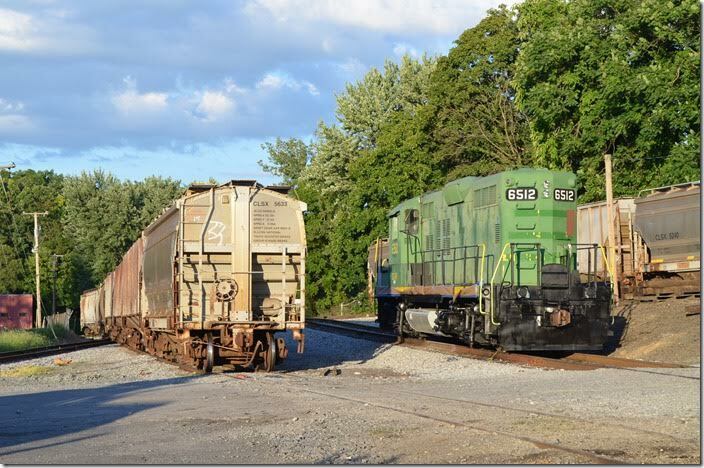 D&GV evidently uses this GP9 that probably from Kanawha River Terminals. 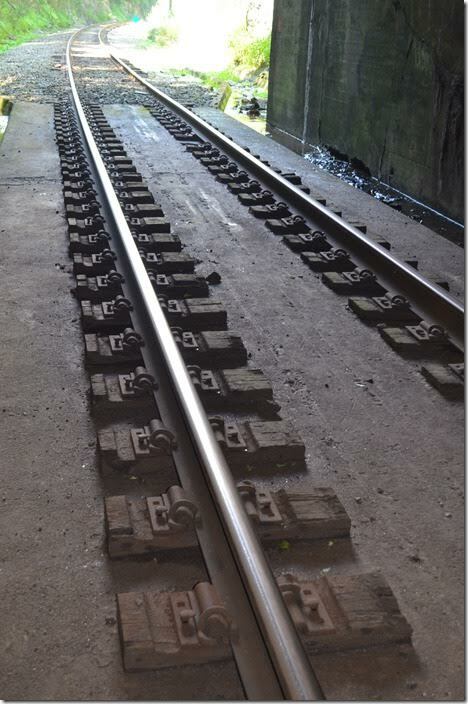 The number suggests that it is ex-B&O. 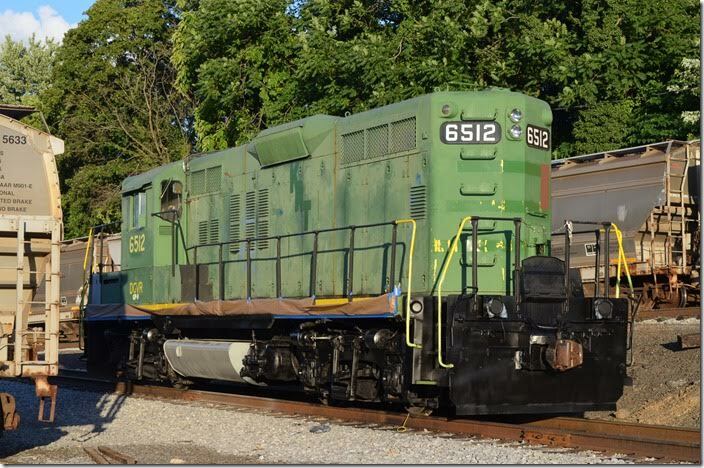 DGVR GP9 6512. Staunton. 25. 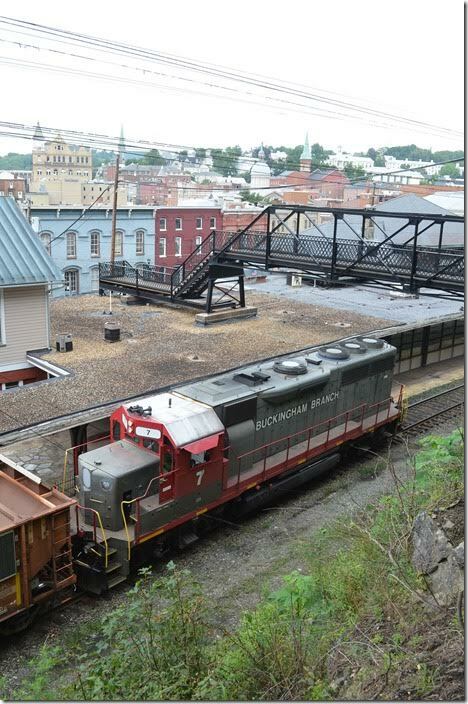 Shenandoah Valley Railroad’s yard in Staunton. DGVR 6512. Staunton. 26. 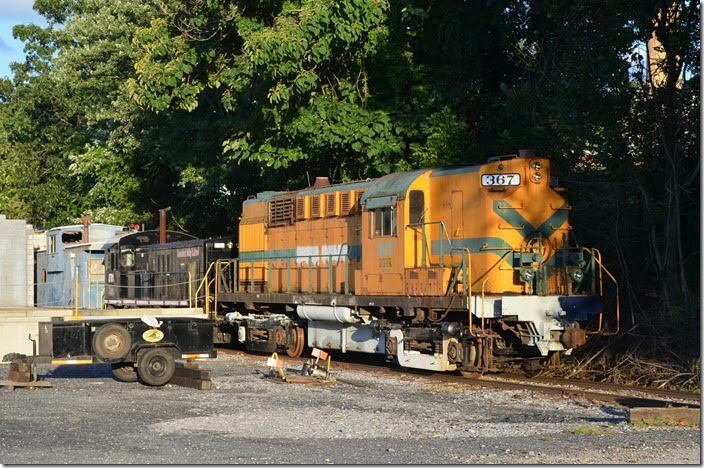 Buckingham Branch “GP40-3s” 13 and 12 parked on Sunday morning, 08-02-2015, at their “C&O Flats” yard in Staunton. No. 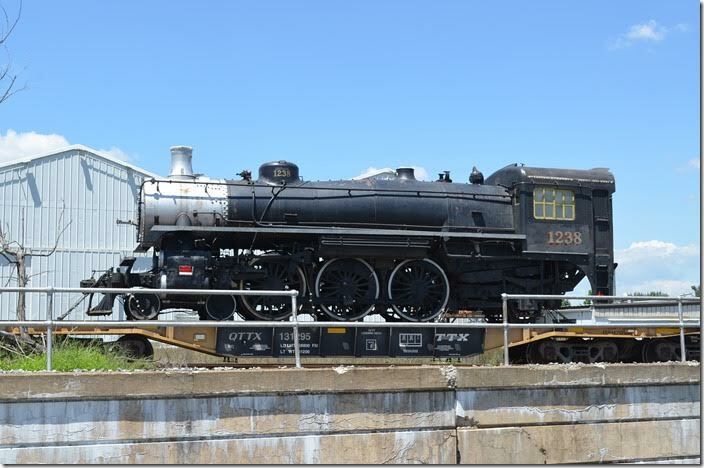 13 was originally Milwaukee Road; 12 started work as Penn-Central. Both were also used by KCS. Staunton. 27. Buckingham Branch nos. 13-12. Staunton. View 2. 28. 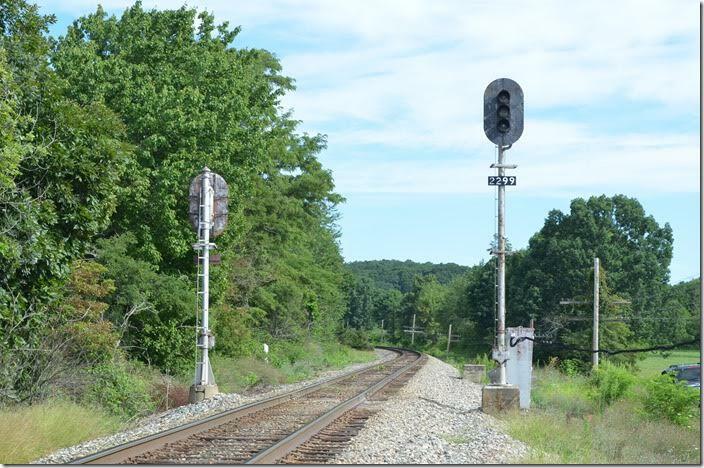 Signals at the west of Lagrange passing siding looking west. 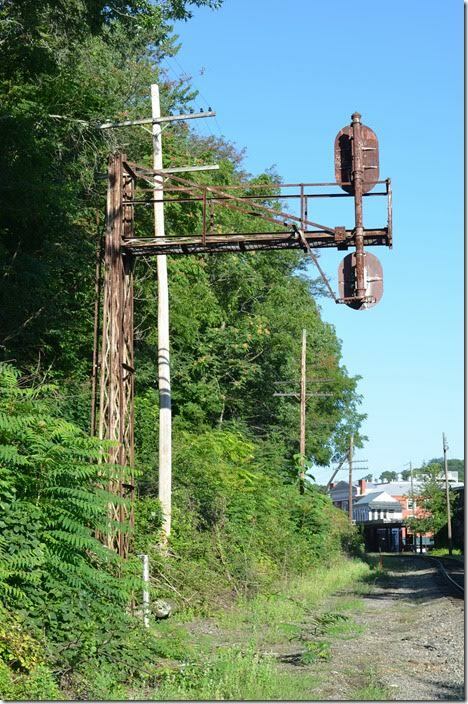 Buckingham Branch wb signal WE. Lagrange. 29. Block signals looking east at Swoope. 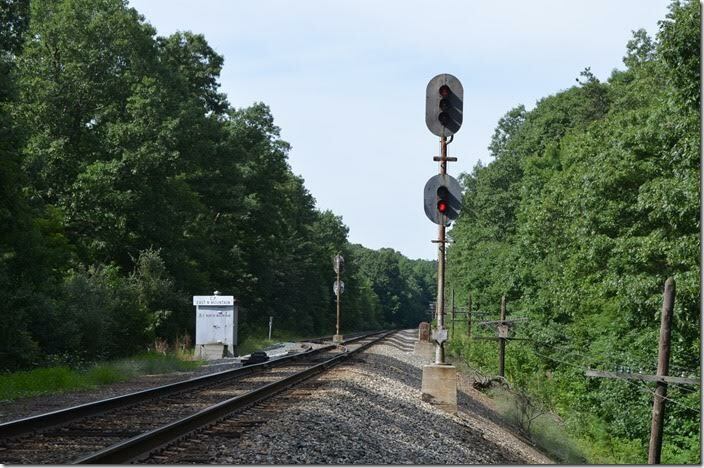 Buckingham Branch eb signal. Swoope. 30. Same signals looking west. 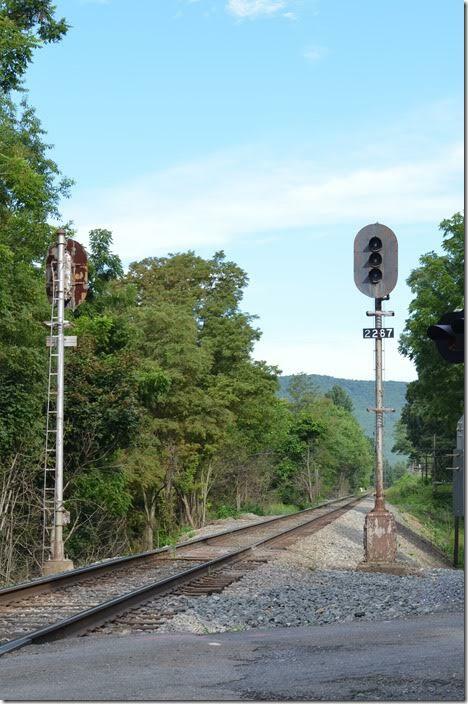 Former CSX North Mountain SD nee C&O Mountain SD. 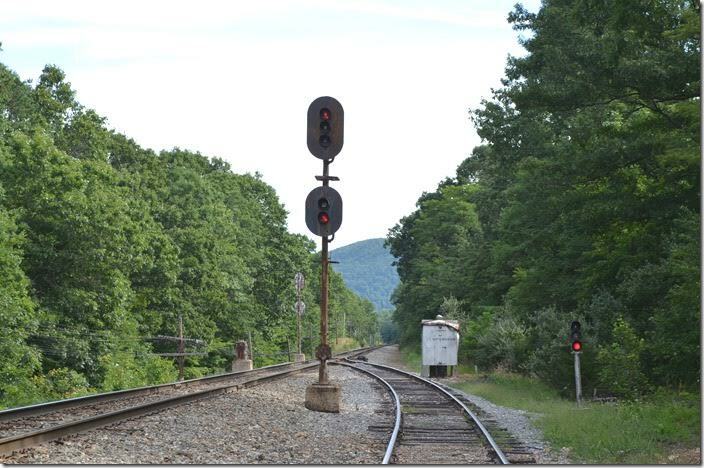 Buckingham Branch eb signal. Swoope. 31. Block signals looking east at Christian. Buckingham Branch eb signal. Christian. 32. Buckingham Branch, looking west at Christian. BB wb signal. Christian. 33. 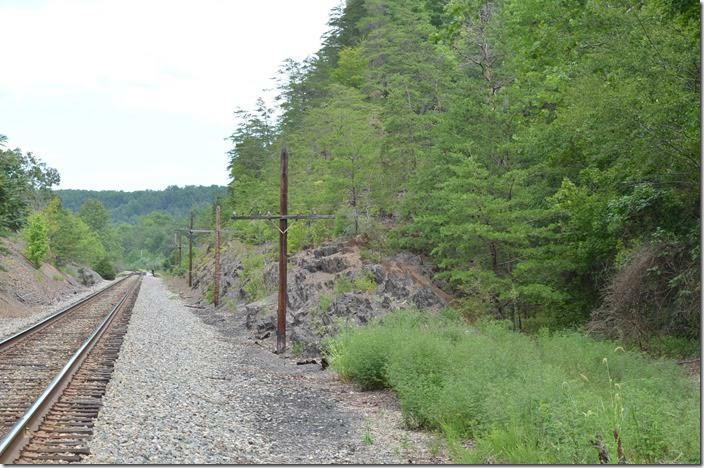 Buckingham Branch, looking west at the east end of North Mountain passing siding. 34. 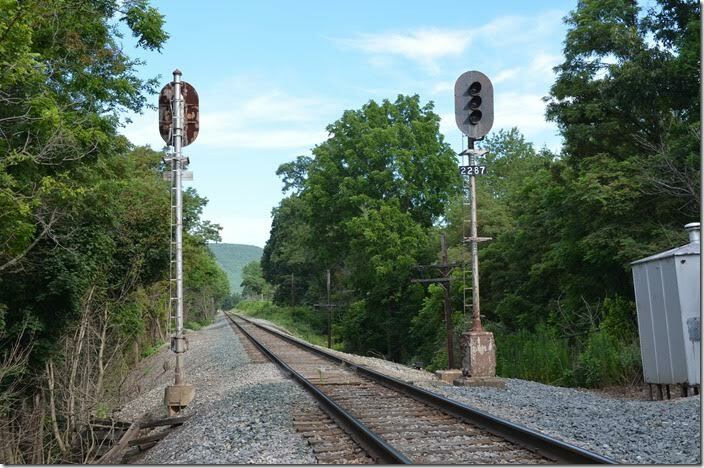 Buckingham Branch, looking east at the eb signal EE North Mountain. 35. Buckingham Branch, looking east at Griffith. 36. Amtrak 50 rounds the curve at 1:07 PM, 5 minutes late. Amtrak 194. Griffith. 37. Engine 194 has 8 cars today. Amtrak 194. Griffith. 38. I would like to be riding in the dome! Amtrak 194. Griffith. 39. 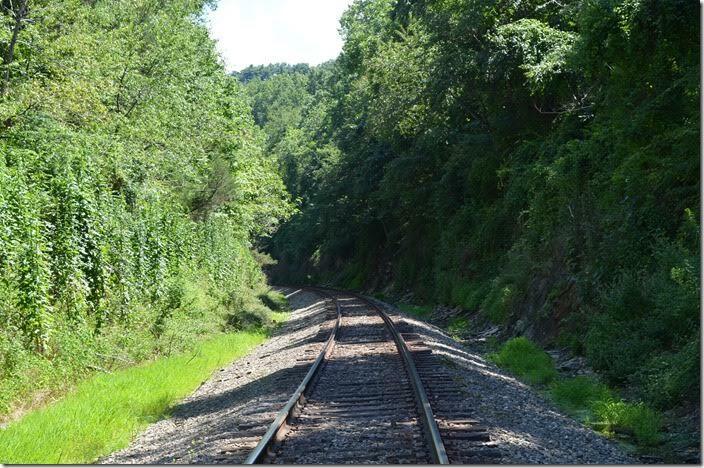 The old alignment to C&O Coleman Tunnel is to the right. Griffith. 40. West portal of C&O Coleman Tunnel. Griffith. 41. C&O Coleman Tunnel was rebuilt in 1919. Griffith. 42. C&O Coleman Tunnel. Interior. Griffith. After shooting L135 and P051 on the Alleghany and New River SDs, I headed home.